MSU’s 2018 iGEM has won a Bronze Medal from the International Genetically Engineered Machines (iGEM) global competition. iGEM brings together students from around the world to design synthetic biology solutions for some of humanity’s toughest problems. The teams also contribute to the synthetic biology community by adding new parts to the growing ‘Registry of Standard Biological Parts,’ a physical and digital library of DNA sequences with well characterized functions. 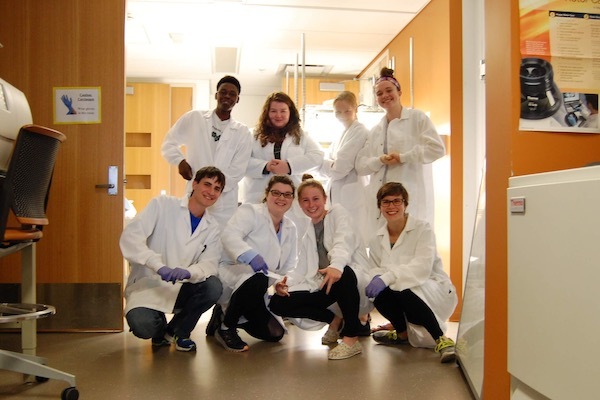 The highly diverse MSU team was made up of eight undergrads, a grad student, a post-doc, and four faculty from Chemical Engineering, Environmental Studies, Biochemistry and Molecular Biology, and Genetics, to name a few. The team focused on the challenge of how to improve plant health under stressful situations, but without making the plant a genetically-modified organism (GMO), which often is subject to disapproval by many consumers in the US and globally. The team examined the plant microbiome: all the bacteria and fungi living in, on, and around the plant. The most intimately associated microbes are called endophytes. Endophytes live within a plant, without causing disease, and they communicate with their hosts, consume products made by the plants, and even help ward off harmful plant pathogens. 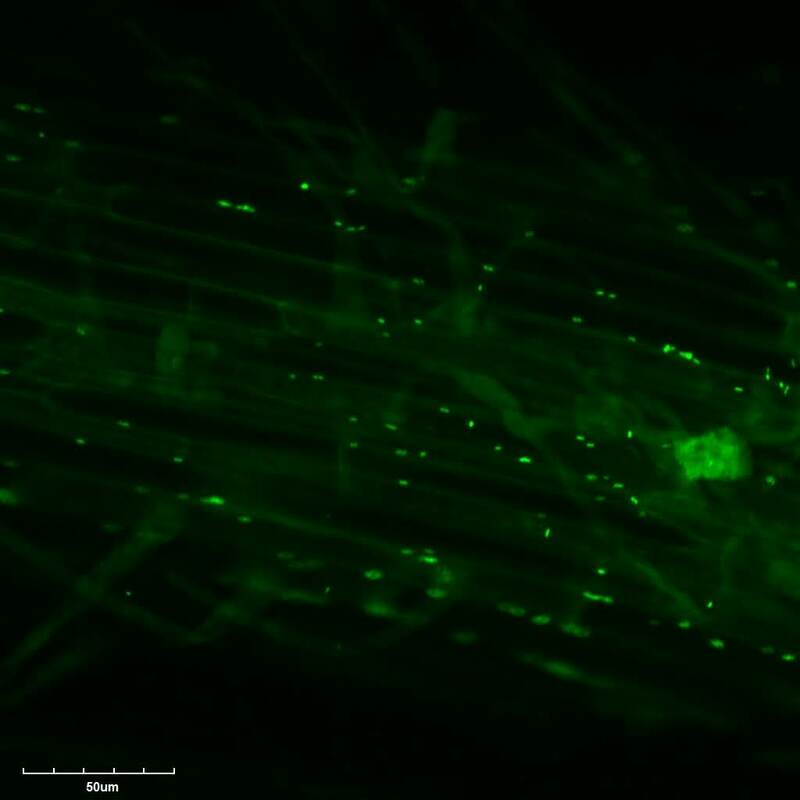 As a proof-of-concept, the team added a fluorescent gene to an endophytic bacterium. They then removed it from one plant, where it naturally lives, and introduced it into another plant. The successful proof-of-concept paves the way for more concrete applications. In place of a gene that lights the bacteria up, the scientists want to engineer the bacteria to produce an enzyme that turns down plant production of the gas, ethylene. The iGEM guidelines include educating kids and college students about synthetic biology. The team took the project on the road, with events at the Impression 5 science center and the Lansing Public Library. This year’s professor mentors were: Bjoern Hamberger, Danny Ducat, Tim Whitehead, Michaela TerAvest, in addition to Greg Bonito.